The size of this catalogue is rather amazing for 1866. 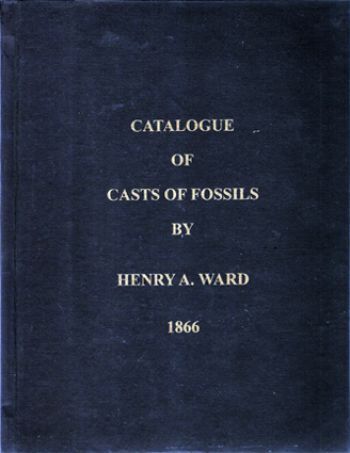 While it might seem that this catalogue's date is still quite early from the standpoint of paleontology discoveries to come in the 1870s and 1880s (and it is quite early when one remembers the literal crate loads of fossils that Cope and Marsh would ship home from the western United States during these decades), Ward's 1866 catalogue contained a surprisingly large number of 1207 fossil casts. Many were invertebrate specimens. The book is a wonderful time capsule of what fossils were in various museums in Europe and the United States at the middle of the 1800s. Ward provided brief descriptions of the fossil copies, illustrations for many of the items, and a key as to where the original fossil was housed. Henry Ward, scientist, explorer, museum builder and founder of the Ward's Natural Science Establishment, was born in Rochester, New York in 1834. He studied at Middlebury Academy, Williams College, Temple Hill Academy and Paris School of Mines. 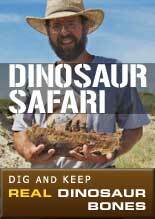 In 1860 he returned to Rochester after many years of collecting geological specimens in Europe and Africa. From 1860 to 1865 he taught natural science at the University of Rochester, and began to supply colleges and universities with geological cabinets. This work was the beginning of the Science Establishment. Ward later became interested in meteorites and built up a large collection before his death in 1906.